Yes, yes, we all know the meme that 2011’s The Elder Scrolls V: Skyrim will continue to be re-ported and re-published on every platform until the end of time. 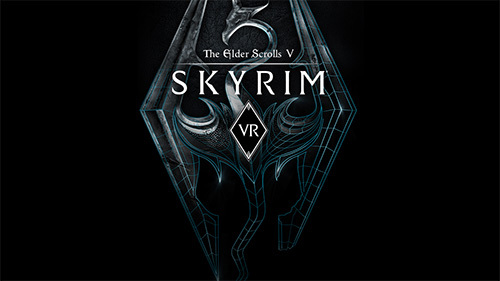 However, last week brought a double whammy, as Skyrim not only came to Nintendo Switch in a portable format, but it was also released for the PlayStation VR as The Elder Scrolls V: Skyrim VR. While the PS VR has seen quite a few releases over the last year, there’s been a scarcity of what most would consider ‘proper’ in-depth games. The platform’s first major release came early this year with Resident Evil VII, and now Skyrim VR brings the entire Skyrim RPG, with hundreds of hours of gameplay including every expansion, to Sony’s headset. The effort is appreciated, and it bears re-instating – Skyrim VR is no watered-down affair, or on-rails experience that will last you a couple of hours. Every quest, dungeon and location is available, and fully playable not only with the DualShock 4 controller, but with the PlayStation Move controllers as well, all for you to experience in glorious VR. Well, ‘glorious’ VR might be an overstatement. To get the game running on a standard PS4 at the frame-rate needed for a smooth stereoscopic VR experience, the visuals have taken a hit. It helps that the game is six-years old, but in general the game definitely looks like someone took the graphics slider and dragged it down to ‘low’ to ‘medium’ quality. Character models are fine, as are textures within a certain radius of you, but detail and geometry beyond a certain distance suffer, making some of the grand vistas Skyrim is known for a little less impressive, especially when jaggies and aliasing abound. However, despite the hit in visual quality, what’s impressive is how utterly immersive Skyrim VR remains. It helps that the original game was always a pretty all-encompassing experience, but it’s very easy to simply get lost in Skyrim VR’s world. In towns, if you look over your shoulder there’s always someone having a conversation that might have vital information, or in a dungeon craning your neck to study the walls might elicit the solution to a puzzle. You’re guaranteed to cack yourself at least once, the first time you turn around and find a wolf or skeever already pouncing on you. Even in empty patches of forest, catching butterflies in mid-air with your Move controller is surprising fun. Bethesda have smartly included many options to dial the experience to what you’re comfortable with. If find you become nauseous easily in VR, you can navigate via teleportation, essentially throwing a marker to where you want to stand, which works easily enough, even if it does feel very stop-start. You can also turn on vignetting so that turning and any motion is dampened in the headset. Personally, I’m very comfortable with VR and was fine with turning off all helpers and switching to free-roam, which allows full 3D-movement just like in the regular version of the game. 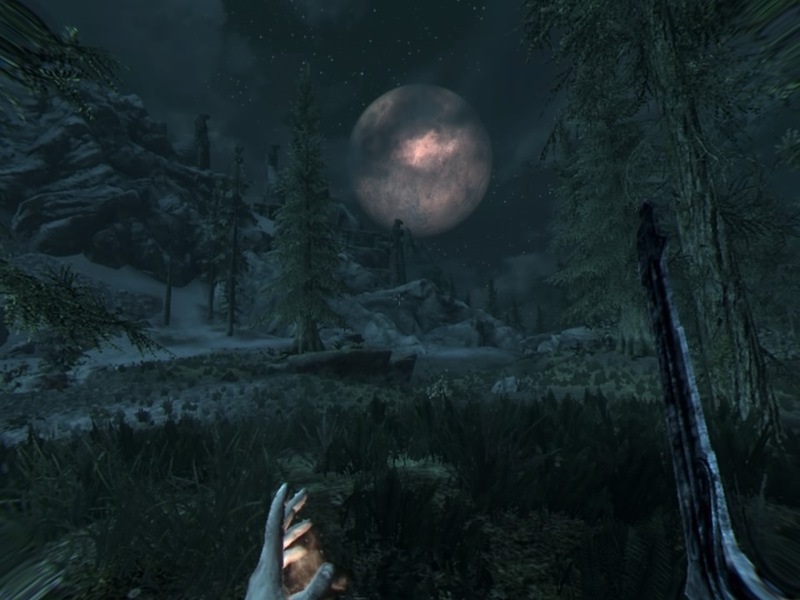 While you can play Skyrim VR basically the same way as the original version, using a DualShock 4 controller, the much more immersive option is to use dual PlayStation Move controllers, functioning as your in-game hands with 1:1 tracking. Bethesda have had to engineer a way to get Skyrim‘s control scheme working across two Moves, and in general it works pretty well, depending on what weapon you’re using. Magic feels the best, as you simply have to point and pull the trigger to blow away enemies, and you can track them very easily as they attempt to flee your wrath. Using a bow feels right – you have to manually load an arrow, pull back and launch as you would in real life, although accuracy can be hit and miss. Similarly, melee combat is pretty cool, as you physically swing your equipped weapon at your enemies – although, what the game considers a swing is pretty loose. This means that while the game does get tougher as you progress, combat feels a lot easier than it does in the base Skyrim. You could do proper sword swings and stabs if you really wanted to, but it’s basically much easier to just waggle your sword in multiple foes’ faces. Given the accuracy that the Move provides, magic also feels overpowered, although you still have your magicka and stamina bars in-game, that will eventually run out if you’re not careful. If you chose free-roam movement, the left Move controller becomes a kind of joystick, as you can move and strafe using the motion of your left hand, which works most of the time, unless you need to use your left hand for something else – like blocking an attack or readying a weapon. Then, it makes it impossible to strafe and fight. The Move controls definitely add immersion, but the DualShock 4 is the way to go if you want the full range of controls Skyrim requires. 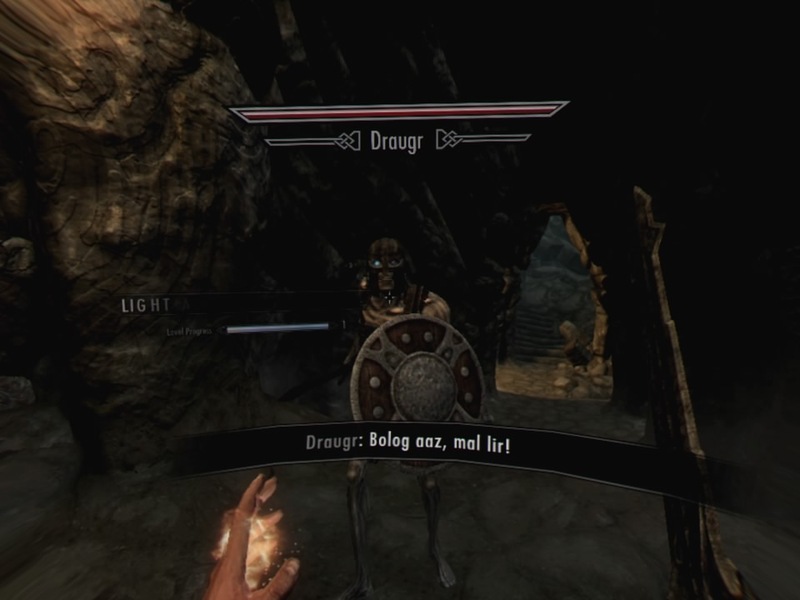 There’s also plenty of the bugs that Skyrim is well known for, still present in this game, along with some new idiosyncrasies that seem unique to the VR version. For instance, my character could not keep his weapons holstered and for the longest time I couldn’t figure out why – eventually I realised that if I physically looked too far to the left, that seemed to draw my weapons, which is a pretty big problem given that such an action can screw you over in certain locations in the game. Hopefully it’s something that can be patched out. However, there are some other really nice touches here and there that take advantage of PlayStation VR. The map screen now shows a full 3D recreation of Skyrim below you, as you hover above like a giant and can look around for destinations and points of interest. The skills and level-up system has been visually re-arranged as well, and now surrounds you with stars and constellations. If nothing else, it’s remarkable that Skyrim VR works as well as it does, modifying the award-winning RPG to entirely work in VR. Not everything has survived the transition – the visuals aren’t as sharp as you’d hope, each control scheme has its own issues and on the whole the combat does feel a fair bit easier. It may not be the highest quality version of Skyrim out there, but nonetheless it’s still one you should definitely own and try out for yourself if you already own a PlayStation VR, as Skyrim VR provides the most complete experience on the platform.